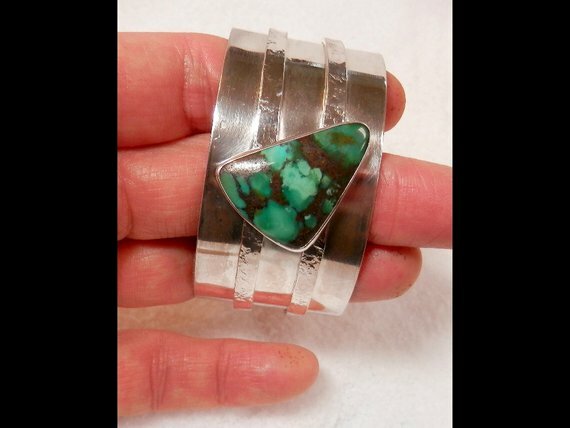 Sterling Silver, Tibetan Turquoise Cuff Bracelet Large Hand Fabricated , Signed, Designer Bracelet. 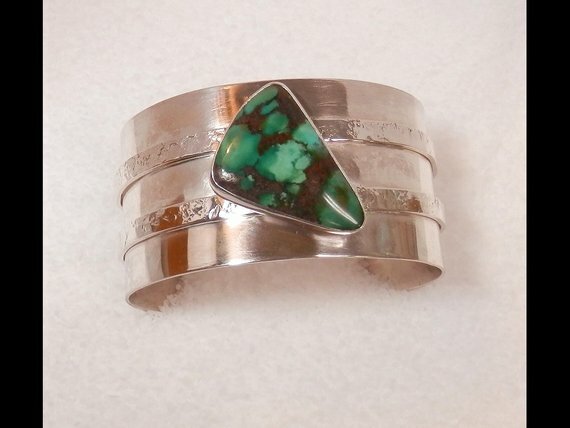 Tibetan Turquoise is some of the most beautiful turq in the world. The colors in the stone are intoxicating. 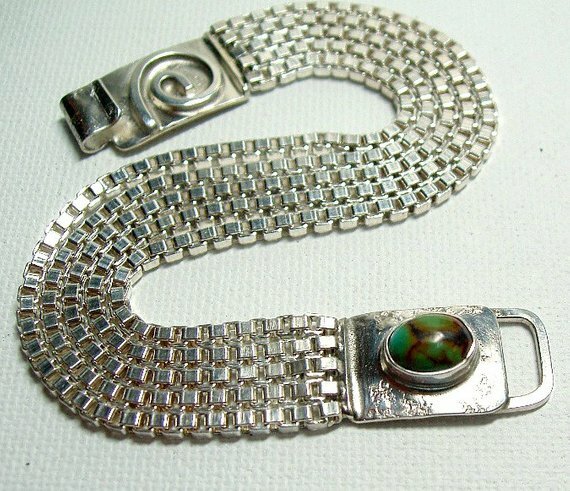 Without a doubt, a show-stopper piece of designer, hand made, signed, art-to-wear. 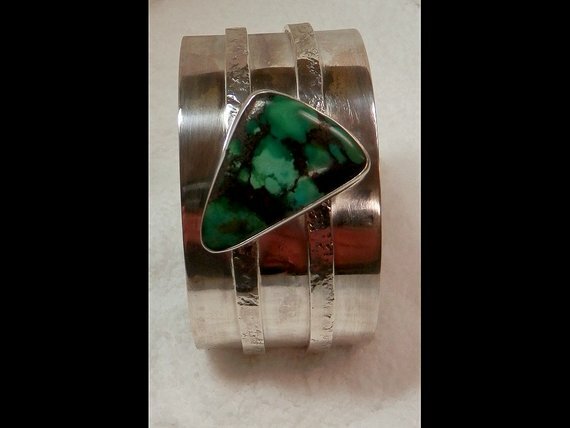 The Turquoise cabochon measures approx. 29mm x 21mm x 5mm. 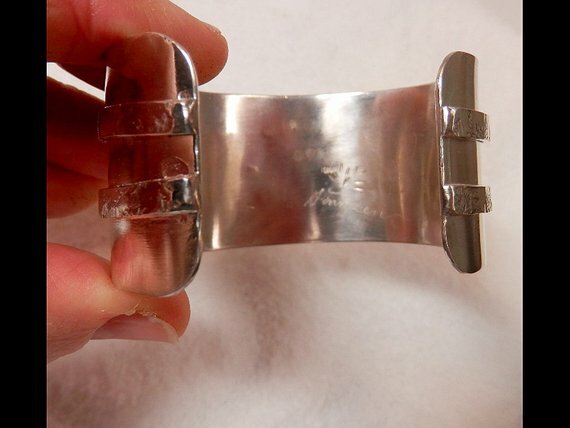 The wide cuff measures approx 33.24mm in width and fits a size 7 - 8 wrist. Thank you for looking and as always, buy with confidence!